Gardening can be risky business. I nicked my arms pawing through my raspberry bramble yesterday; I suffered no serious damage, but I’ll certainly wear long sleeves from now on when I pick berries. Two days prior to the bramble burst, I, a la cartoon, stepped on the spiked side of a rake. The result was just as you’d expect–a long wooden handle unexpectedly flying toward me at light speed (note: the expected comedic outcome is not at all hilarious when it happens to you). I was able to block the handle before it broke my face, but my left forearm still evidences the incident. 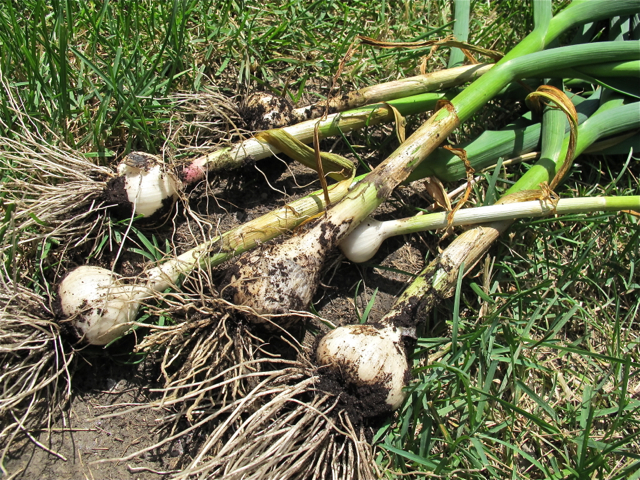 Worse than the brambles and the bruises, though, was what I did to my garlic: I harvested too early. Last year, I waited 20 days between cutting the scapes and harvesting the garlic heads. The end result was that I had a number of small, but fully formed, heads of garlic. So I figured I’d proceed in the same way this year. As I thrust my hand deep into the garden soil, the heads felt firm and full. So I pulled all of them, except for one. Most of garlic was huge, bigger than ping-pong balls. There was cheering and photo-taking. And then there was sadness. I looked at the garlic heads. All of them were covered in just a thin layer of paper skin, and some seemed malformed. Garlic shouldn’t be flat on one side, right? Two from the harvers were still…bulbs. Like a small onion, except layered with inedible pre-paper instead of savory flavor. Why did this happen? Lack of patience. Gardening, just like cooking, requires patience for the best result, and I blew it. Five of the heads look salvageable, but I won’t have certainty for another two weeks. All I can do now is be extremely…patient…with the curing process. 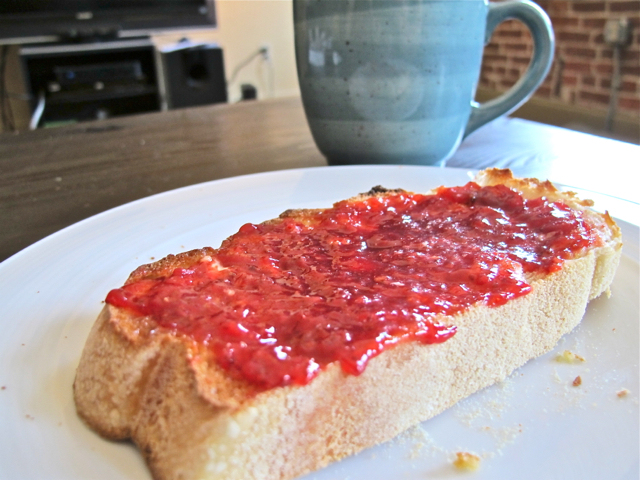 Happily, I had a pick-me-up designed to comfort me after my gardening woes: Strawberry Jam! I’ve started playing with canning and preserving, and, after a questionable chicken soup experiment (nobody died, but nobody volunteered to eat more than one bite of the soup, either), I decided to make jam. Strawberries were in season, and I bought a lot of them from several farms. The jam making process is straightforward: crush berries, boil with pectin and butter, add sugar, and then jar. I’ll leave the specifics to the experts. Best way to serve the jam? Take a thick slice of crusty bread. Toast it. 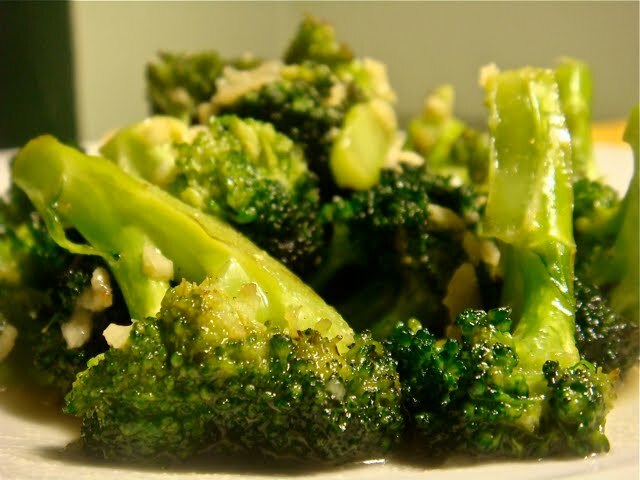 Slather with a little bit more butter than you think is good for you. Top with thicker layer of jam. Smile.